Written and directed by Pankaj Advani, Sankat City is a rollicking and unpretentiously inventive comedy caper that was released in the summer of 2009 to little commercial success. However, it was favourably reviewed on its initial release and I can see why it works so well as a reflexive postmodern take on mainstream Indian genre films. Sankat City could probably be placed alongside the likes of Rocket Singh and Oye Lucky! Lucky Oye! as superior examples of the comedy film. All three films seem to share a commonality with ensuring the more heightened elements involving scams are anchored by a likable set of characters. It is their existence on the periphery of society that allows in particular Sankat City to work out such social exclusion as a cathartic narrative in which triumphalism doesn’t come across as awkwardly misguided or riddled with sentimental cliques. Director Pankaj Advani manages to sustain interest primarily through an endless amount of energy, both in terms of creative ideas and also in a hilarious ability to poke fun at the the world of film making and the superficial genres it spawns. Both Anupam Kher as a playful gangster don and Kay Kay Menon (playing against type) as a small time thief deliver fine performances whilst the irascible Chunky Pandey shows up in a deranged 1970s style double role. Writer and director Pankaj Advani’s postmodern and stylised cinematic sensibilities seem to parallel that of his contemporaries including Dibankar Banerjee, Shimit Amin and Anurag Kashyap which suggests that it is possible to work within the parameters of the mainstream whilst remaining resolutely authorial and subversive. 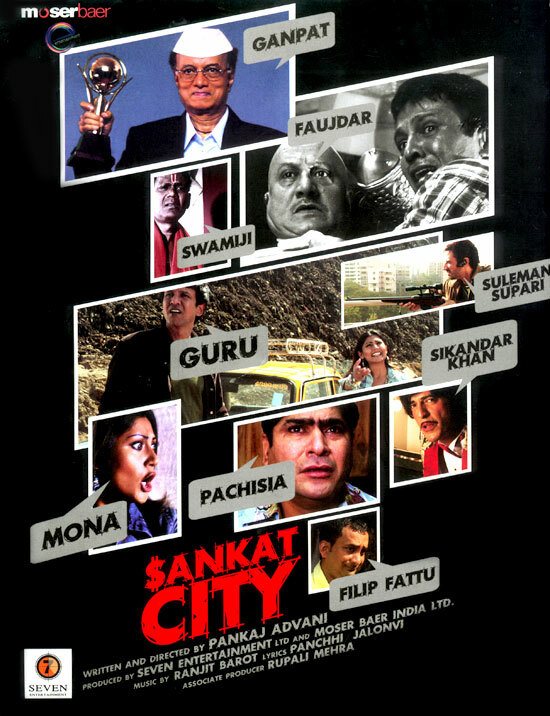 Sankat City is avaliable to buy on DVD and comes highly recommended as an example of the new wave? 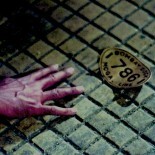 of Indian cinema. This entry was posted on May 1, 2010 by Omar Ahmed in comedy, Indian CInema, Thriller.